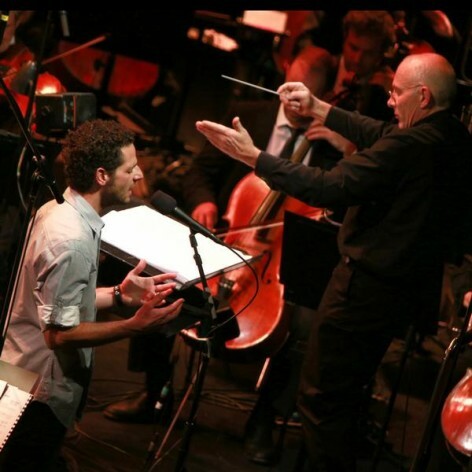 ‘Compassion’ is a 45 minute song cycle for solo voice and symphony orchestra, a collaborative project between Nigel Westlake and Lior. Nigel Westlake left school early to pursue a performance career in music, touring Australia and the world with ballet companies, a circus troupe, chamber music ensembles, fusion bands and orchestras. As a composer for the screen, his credits include the feature films Miss Potter, Babe, Children of the Revolution, and the Imax films Antarctica, Imagine, and Solarmax. His tribute in music to his son, ‘Missa Solis – Requiem for Eli’ won the Limelight Award for Best New Composition 2011, and was the catalyst for Nigel meeting Lior, his collaborative partner in ‘Compassion’. Lior burst on to the Australian music scene in 2005 with his stunning debut album – Autumn Flow. The album became one of the most successful independent debuts in Australian history. A swag of accolades followed, among them three ARIA nominations including Best Male Artist.